Why Are Some Dental Implants Cases More Complex? Dental implants in Virginia Beach are the best way to replace missing teeth because of all the long-term benefits that they offer. They can preserve your bone, provide you with a strong and sturdy bite, and last for a lifetime. They also look beautiful and are easy to care for. However, the procedure for installing them requires that a dentist have a high level of skill, and some dental implant cases are more complex than others. What is this so? Your jawbone will serve as the primary support for your implants, so it is important that the bone be tall enough and dense enough to provide the sturdy base that your new teeth need. If it has been some time since you lost your teeth, you may have already experienced some bone loss in your jaw. If your implant dentist determines that your jaw isn’t strong enough for implants, though, there is still hope. A bone graft may provide the extra strength your jaw needs. Alternatively, you might be a candidate for a different type of implants (subperiosteal implants) that rest on your jawbone instead of within it. 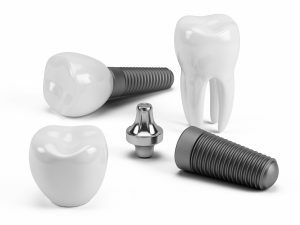 One of the best things about implants is that they can replace one teeth, a few teeth, or all of your teeth. However, the number of pearly whites you’re missing will have an effect on your journey to a new smile. Your oral surgeon will have to judge how many titanium posts need to be inserted into your jaw in order to provide the adequate support for your teeth while being as minimally invasive as possible. It’s also good to keep in mind that it’s possible that one or more of your natural teeth will need to be extracted. This may make the implant surgery a bit easier. Your dentist in Virginia Beach will ask you some questions and perform some tests to make sure your oral and overall health are in fair shape. Some medical conditions might mean that you have to wait to receive implants. For example, gum disease should be taken care of before your surgery. Also, if you have conditions that affect your immune system, such as diabetes or HIV, you’ll need to be extra-diligent about preventing infections that could lead to implant failure. Smoking can drastically increase the chances that your implants will failure. Therefore, if you are a tobacco user, you and your dentist will have to take precautions to protect your implants. The best way to prevent complications due to smoking is to kick your habit. There are quite a few circumstances that can make some dental implant cases more complex than others, but take heart! The vast majority of cases are successful. You might not be far away from a beautiful, restored smile. The team of dentists at Smile by Design in Virginia Beach are proud to provide implant restorations to folks in the community. If you would like to know more about how to reclaim your smile, please contact us at 757-499-9639. Comments Off on Why Are Some Dental Implants Cases More Complex?